UNIQUE! 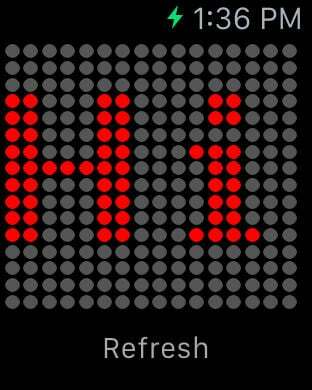 Amaze your friends by turning both your Apple Watch and iPhone into a dot-matrix LED display! It is the best way to express yourself and communicate in noisy environments. Or discretely exchange messages in business meetings, in class, etc. The extension towards the Apple Watch creates even more creative ways to communicate with a LED message. How to use: simply enter your message in the text box on your iPhone and tap Enter. The message is now shown on your iPhone and on your Apple Watch.